A photo is truly worth a thousand words. I came across the above photo by Red Silva on Facebook. I do not know Red, but this photo had been circulating in Facebook (I learned it's been shared around 50,000 times). 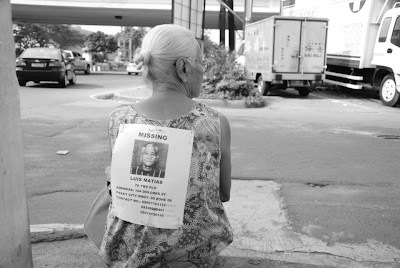 It is the photo of an old lady (whom we affectionately call Lola in the Philippines) looking for her husband who had been missing for two weeks already. As her photo spread in the internet, local TV station GMA became interested in the story and decided to help Lola Aurelia in her search. On 21 November, they finally found him. It's a wonderful story to share, and what an opportune time it is to read this at Thanksgiving! A perfect gift to your loved ones this Christmas! A must-have 2012 liturgical A5 Desk Calendar for Kiwi-Pinoys, complete with bible verses and annotations for monthly themes. Only $8.00/Calendar ( Bulk Purchase for only $7.00/Calendar for Orders 10x or more). For orders please email our Finance Administrators Tere: tslacsamana@yahoo.com or Abbot: abbots100@gmail.com, or contact your Barangay Coordinators. Payment thru Chaplaincy. On-line Bank transfers acceptable. Heh. Kidding. Party days over for me I guess. But can you spot the Sesame Street aliens? Rather cool bunch. There will be an opportunity to ask questions at the end of each session. 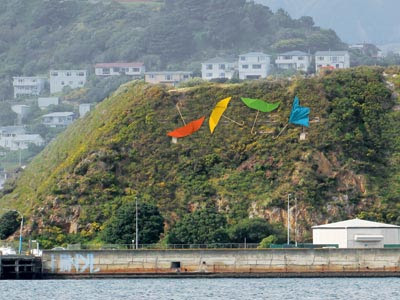 Both workshops will be held at Room 1, Te Awa Kairangi building, corner of Laings Rd and Myrtle St, Lower Hutt. Light supper will be provided. 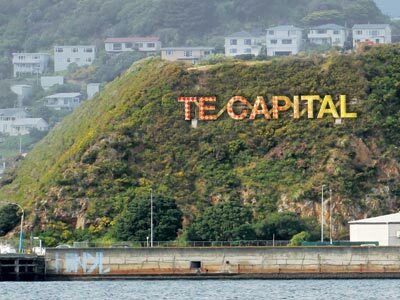 Driving here in Wellington can be a pleasure, although I had not been really doing much of it because I have been quite conscious of my carbon footprint. But there are instances that I have to, especially since there aren't exactly jeepneys and tricyles around, and driving the car is loads cheaper than taking a cab. I would more readily take a bus though than, say, drive to work. - in the Philippines, we flash our headlights when we want to drive ahead or cross an intersection and others would like to do so. Flashing the headlights here in New Zealand means the exact opposite: if you flash your headlights, you are informing the other driver that you are giving way. - there is a Give Way rule which means that vehicles to your right have the right to move first before you do. This Give Way rule is actually confusing. An example we experienced before was an intersection where we were going to drive straight ahead. But at the opposite lane in front of us, the car is signalling to turn to the road to our left, which effectively meant he was coming from our right, so we had to give way. But the rule book stated that if we were going on a straight path, then we would have right of way. Another but: if in doubt, use the Give Way rule! So we were not sure and so we were trying to wait for what the other vehicle would do when the lights changed. It was a good number of seconds before we both started moving at the same time. And then we decided to floor it. Confusing indeed. 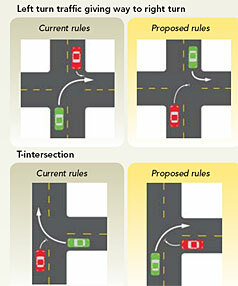 There will be changes to the Give Way rule though in 2012 which should make things easier to discern, especially at intersections. - Pedestrians have the right of way at pedestrian crossings (common sense and common courtesy). - A lot of accidents happen due to drink driving. It is amazing how I've been to a number of drinking sessions in Manila - driver drinking too - and we were able to go home unscathed. Maybe the beer here is much stronger, as we are accustomed to drinking San Mig Light only. Social drinkers, that's what we are. No vodkas and tequilas. Also, I guess the law is not really imposed that much there. But the attitude here is different. If you get flagged and you fail the breath test, then you pay the consequence. So don't drink and drive. This is old news I know, and although we enthusiastically followed the games I do not really know much about Rugby to warrant a blog post. But I found this video which pretty much sums up the atmosphere and excitement around this event, and I would like to share this with you. 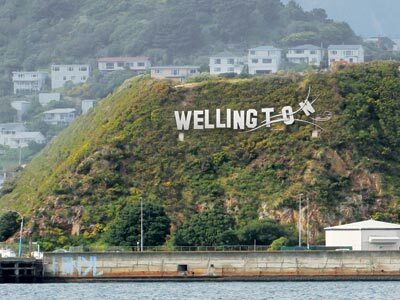 There are five alternatives to the Wellywood sign, all of which are now up for votation until 6 November. 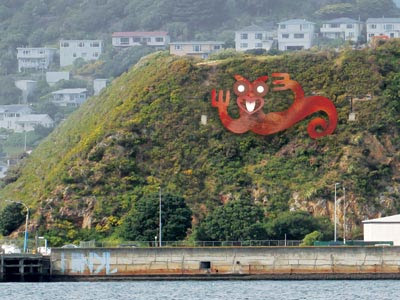 On 9 November, the two most popular options will go against the original Wellywood sign in another voting match. Saw something you like? 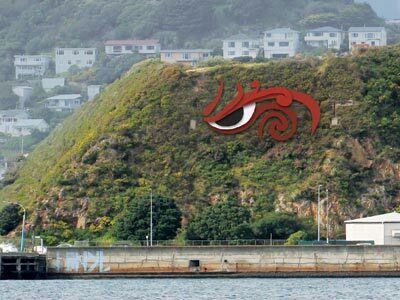 Then head over to The Dominion Post website where descriptions about the above concepts are available, and then vote online. 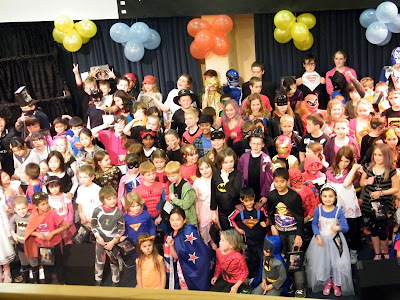 Every year at Halloween, we see kids dressed up in various costumes as they roam from house to house for their customary 'trick or treat'. And every year the Salvation Army also plays host to a fun night of games. If the event falls on the same evening as trick or treating night, then expect lesser kids roaming the streets! I think some parents prefer this too, because then they would know where their kids are and parents can also stay for coffee and mingle while the kids have their fun.